Logic EaseLife Chews for Dogs was developed with a specific combination of essential nutrients to help support mobility, coat condition and mind vitality in senior dogs. 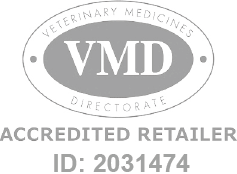 Logic EaseLife Chews for Dogs is a Prescription Only Veterinary Medicine and by law requires a prescription from your vet. As with humans, when dogs get older their bodies get older too. Changes occur in their joints, skin, coat and brain and they can lose their 'spark'. Helping your dog remain healthy, active and alert as they age is just one of the things we can do to say thanks! Glucosamine HCL: A type as amino sugar that plays an important role in the formation of healthy joint cartilage. Omega 3: Omega-3 fatty acids are necessary structural components of cell membranes, helping to support the skin barrier, immune system and mind vitality. Vitamin E: A natural antioxidant which helps minimise damage and injury to cells. Logic EaseLife is manufactured by Ceva Animal Health and designed specifically for dogs. Each pack contains 28 beef flavour soft chews.